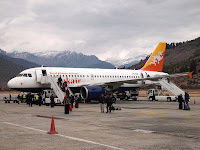 One or two passengers, wearing their national uniform of extra-large beige chinos with white socks and sneakers (that’s your last clue), were getting a little flustered about the delay in the Drukair flight. 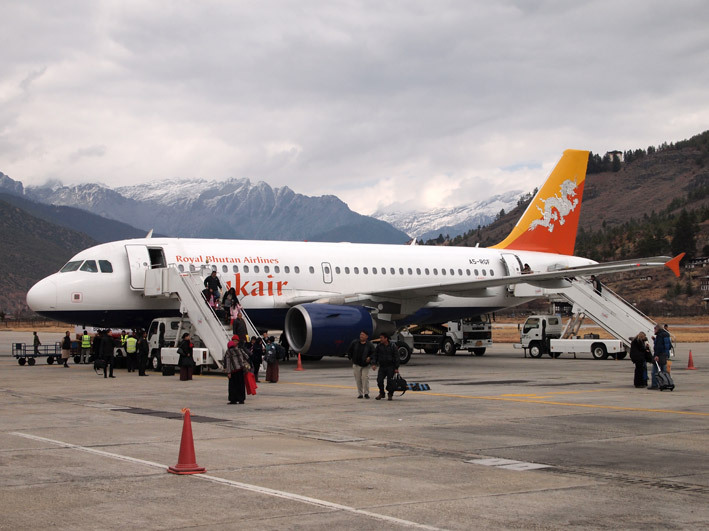 After a two-hour wait, the Airbus departed for the 45-minute flight to Paro in Bhutan. The view out of the left hand side of the aircraft as we flew eastwards along the highest part of the Himalayas was absolutely stunning. 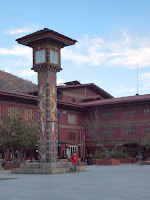 With immigration formalities out of the way, the driver whizzed along empty winding roads for an hour-and-a-bit until we reached the Druk Hotel in the Clock Tower Square in Thimphu. 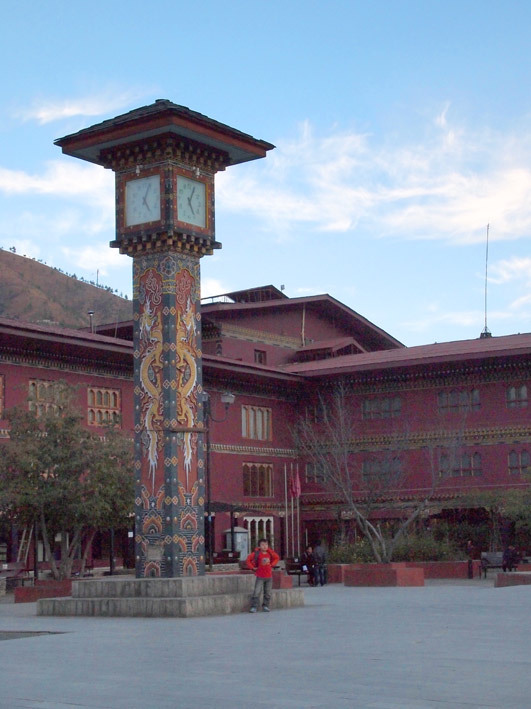 In the late afternoon, I wandered around the town to get my bearings. As darkness fell, the dogs in the quieter areas became more agitated, so I adopted ‘Dog Whisperer’ tactics of just ignoring their mildly aggressive protestations of the intrusion into their territory. It seemed to work. The dogs on the main shopping street were much more relaxed, usually curled up in small groups on the steps of shops and steep pavements. Very sweet.